In top priority has also ventured in to the production of these high-utility cables. Designed to power appliances/instruments like computers, communications, instrumentation, sound control, domestic industrial computers, security systems, audio and data transmission, these cables come in a diverse range and variety. They are competent enough to protect signal fidelity by reducing hum, noise, and crosstalk. 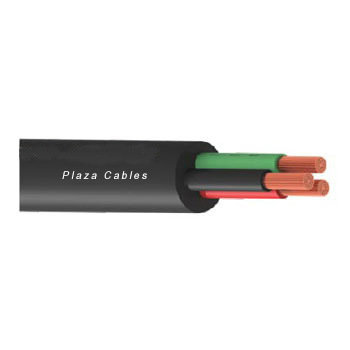 Proved to be highly efficient in power and control applications, Plaza Multicore Round Cables have every reason to stay up in consumer preferences across India. Multi Core Round Cable consists of 2 or more insulated cores laid in helical construction and is generally used in domestic appliances and equipment. Perfect for installation in all electrically operated machines and equipment’s such as air conditioners, refrigerators, motors etc. these wires are flexible and provide the best-in-class protection all around. Sheath Colour: Ivory, White, Grey & Black.